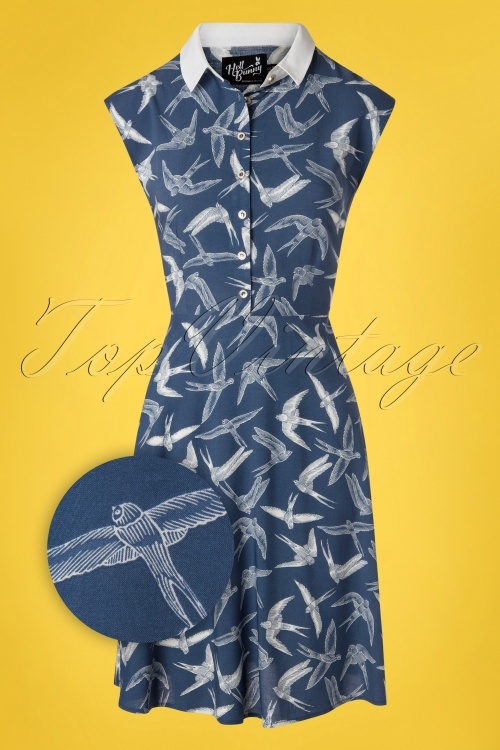 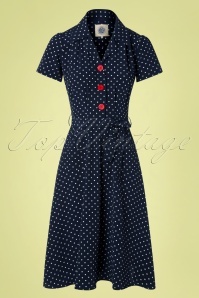 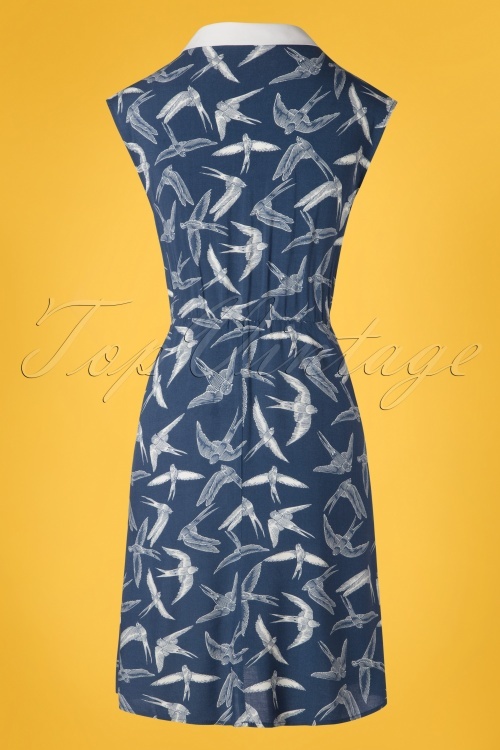 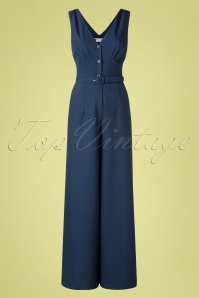 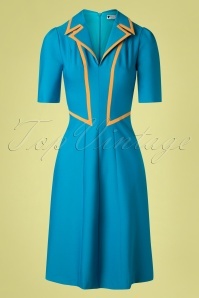 One swallow does not a summer make, but this 40s Lilou Swallow Dress in Blue definitely sends out summer vibes! 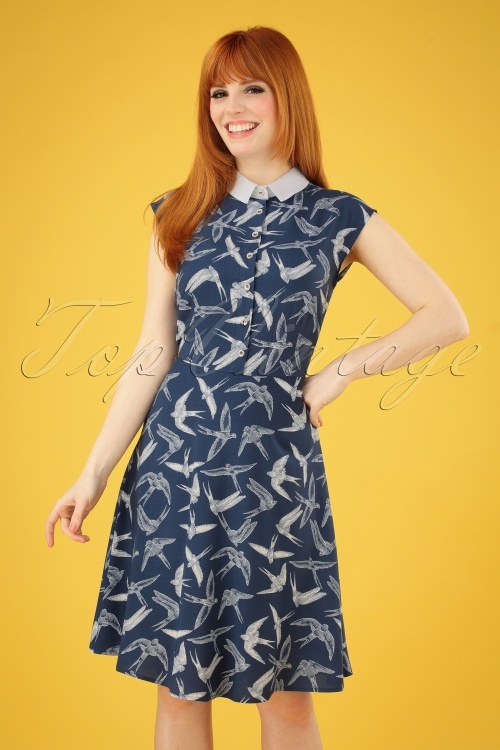 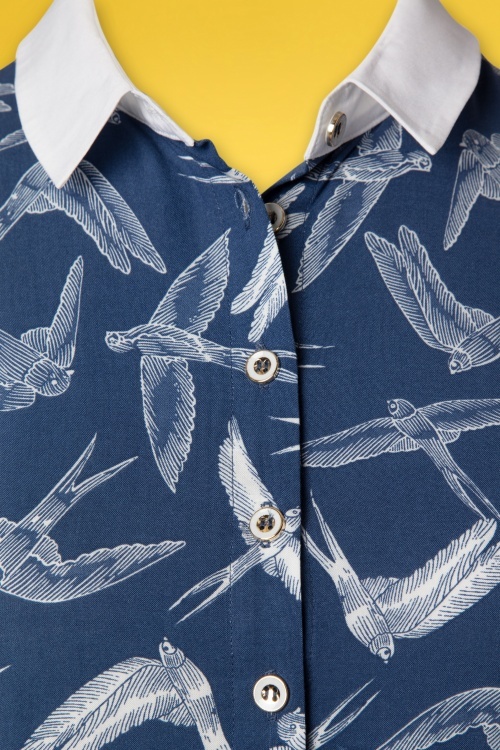 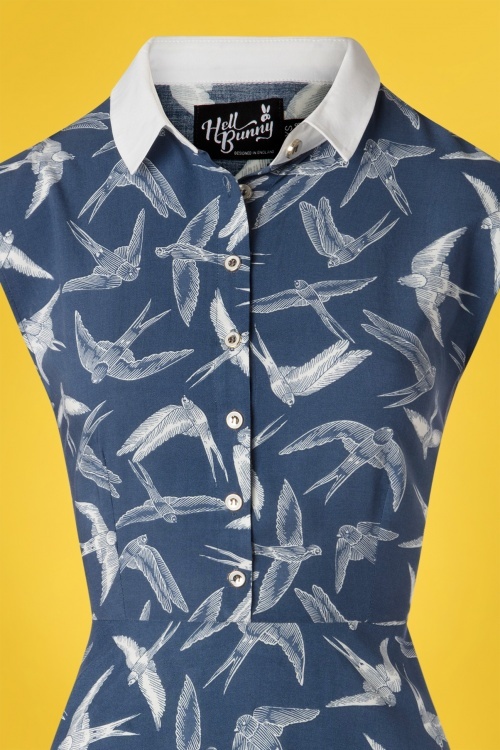 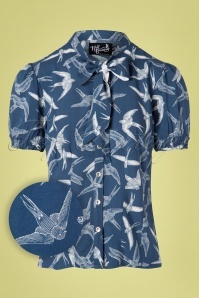 From her cute white swallow print down to the supple and breezy, denim blue 100% viscose (doesn't stretch), she's a perfect choice for those warm summer days ;-) With her striking white collar, cap sleeves and flattering semi-swing style, she's bound to become a key item in your wardrobe. 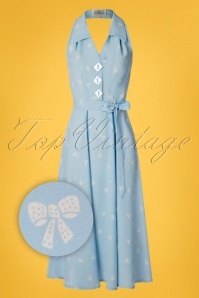 Match with pearls and you're all set for summer!